I’ve always been a big lover of all Boots own brand makes. I remember when I was younger buying all the Seventeen make-up I could possibly own. Obviously going for the brightest eye liner, sparkly mascara and the pinkest lipstick they had. 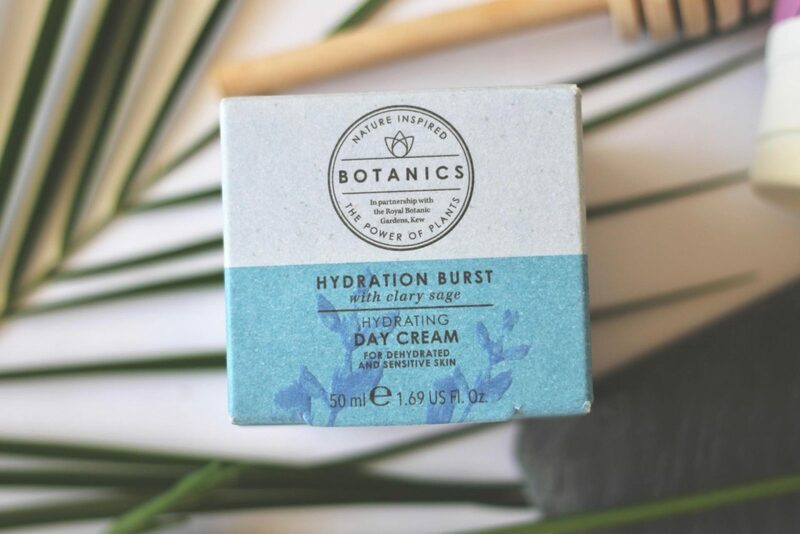 Getting older, [god I hate that saying, but seriously I really feel like I am] I have tried to step back from that brand but one I have always loved is the Botanics skincare range. I kinda stopped using anything from their range over recent years, so when the email dropped into my inbox inviting me to the launch party of their new products. I was pretty excited to say the least. Getting invited to brands pr parties, that I have always loved will never get boring. I still kinda scream when the invite drops in. However… I live north. Like super north. Which means all the events in London tend to be pretty impossible to attend, which is super sad. But it makes my day even more and makes me love the brand even more when they are able to send up some of the products that I would have been shown at the event. To my little home up north. 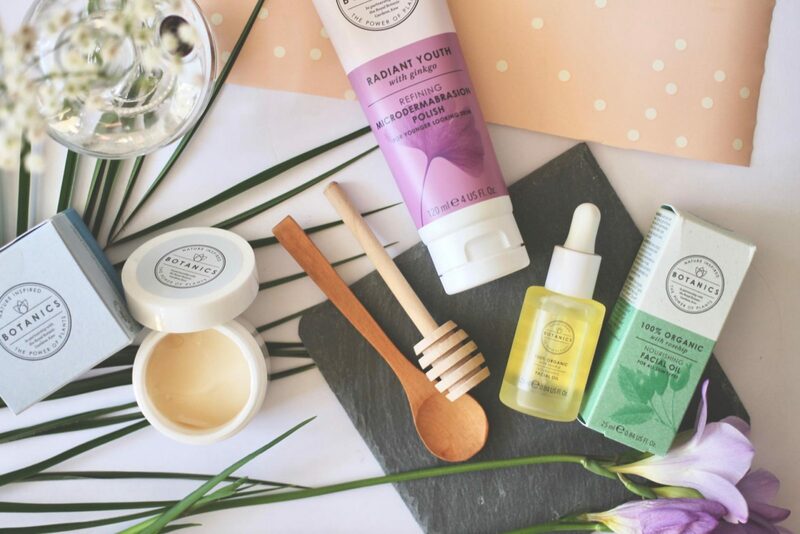 The key plant extract in this range is Rosehip, which helps to feed your skin and give you a healthy looking complexion. Rosehip is rich in vitamin A & C, Omega 3 & 6 and full off fatty acids. All of which help to keep your skin looking healthy and ready to tackle almost anything. The reship is harvested in Andes, which is a mountain range in South America, the air here is pure which helps to nourish the skin. The key plant extract in this range is Clary Sage, which helps to hydrate the skin. This extract helps to clarify the skin, the word Clary comes from a roman word Scalarea which means clear. Does that make more sense? Clary Sage has a self activating ability to store water in dry conditions which is how it helps to hydrate skin. It is extracted from plants in North East Spain. Ginkgo is the plant that defines youth, which is used as the key plant extract in this range. The cocktail of ingredients are taken from the ginkgo leaf which help to keep the skin looking younger. The leaves are harvested in North China, sun dried and crushed to obtain the ginkgo extract. Purple Orchid in the key plant extract used in the age renewal range, which helps to reduce line-sand wrinkles. This range is rich in moisturising plant sugars, which helps to plump and smooth the skin, making your wrinkles look smaller. The plant extract is taken from purple orchids grown in Belgium. Do you feel a little more knowledgeable now? 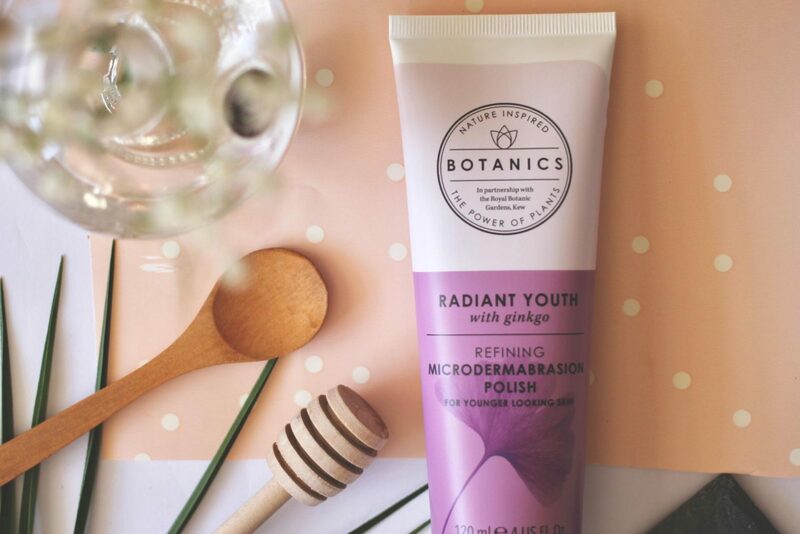 That’s one thing I love about brands like Botanic’s, I seem to learn so much about what products have the best benefits for from all the research I get to do. Now onto the fun stuff, the products I got to try out. Hang on a minute, just before we go into that. Just a few more facts for your eager brains. Botanics helps you to feel great on the outside, when all the yoga, mindfulness and clean eating hasn’t quick cut it. Or maybe you indulged in the wine and kebab too much at the weekend and now you are really paying for it. 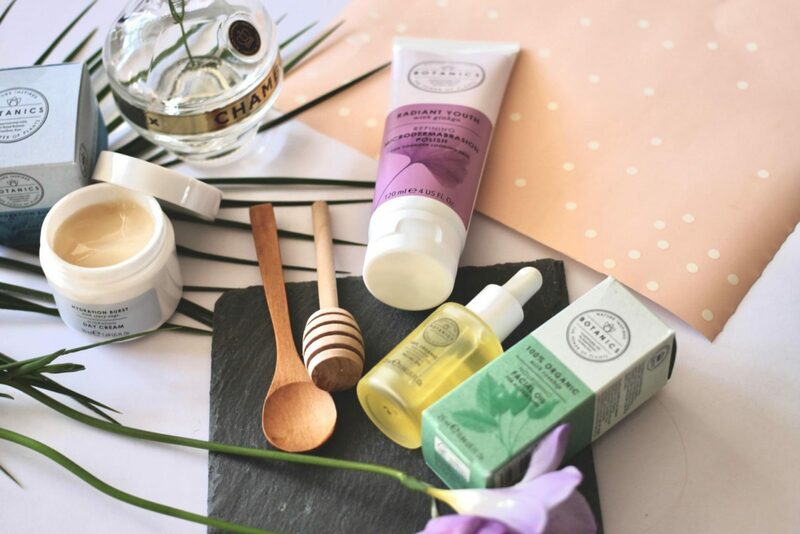 Whilst being super natural and containg amazing plant extracts, these products are all super kind to your purse. Which if your like me sometimes you spend a little too much on the latest avocado eye cream and you’ve got no money left to look after the rest of your face [ which is a lot bigger than those eye bags]. Heres the low down, on the top three products that were super kindly gifted to ones self. 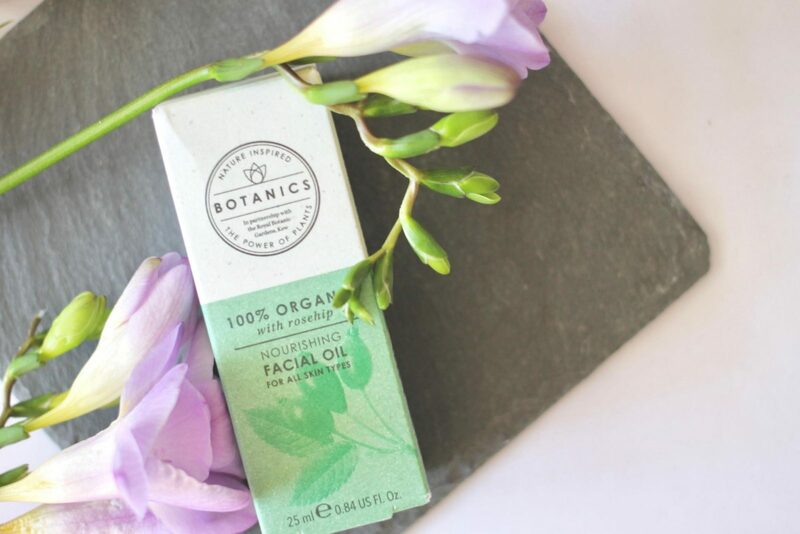 In the category for best feeding the skin is the Organic Facial Oil [£11.49]. We all gots to feed our skin up every now and again. Let’s face it £12 for a facial oil is amazing, you’d be lucky to get one for £20 with today’s rising power of the facial oil, even the men are getting in on the hype. This oil helps to leave your skin looking radiant, smooth and are left with a more even skin tone. This oil belongs in the organic range which means it is rich in rosehip oil, helping to leave your skin looking radiant and beautiful. 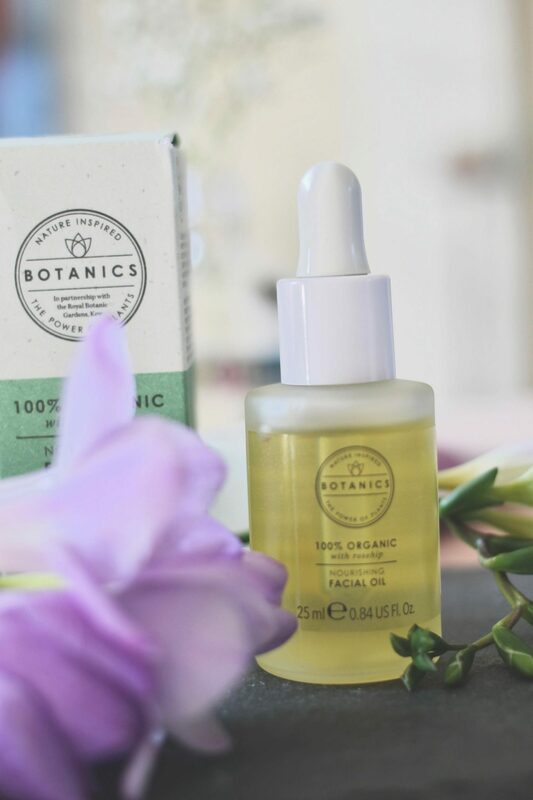 I really enjoyed using this oil, I have been applying on a night as my treatment before more moisturiser and I can really feel a difference in my skin. When I wake up on a morning, I feel as though my skin feels and looks a lot more plump [in a good way, not because of too many pies] and full of goodness it really did need. I will 100% be continuing to use this product and add it into my rotation of oils I was already using. Next up we have a product from the Hydration Burst range, which is in the category for the best dewy skin. Hands up who wants dewy skin, I know I want dewy skin! The Hydration Burst Hydrating Day Cream [£8.99] came at the best time as I squeezed out the last of my other day cream. 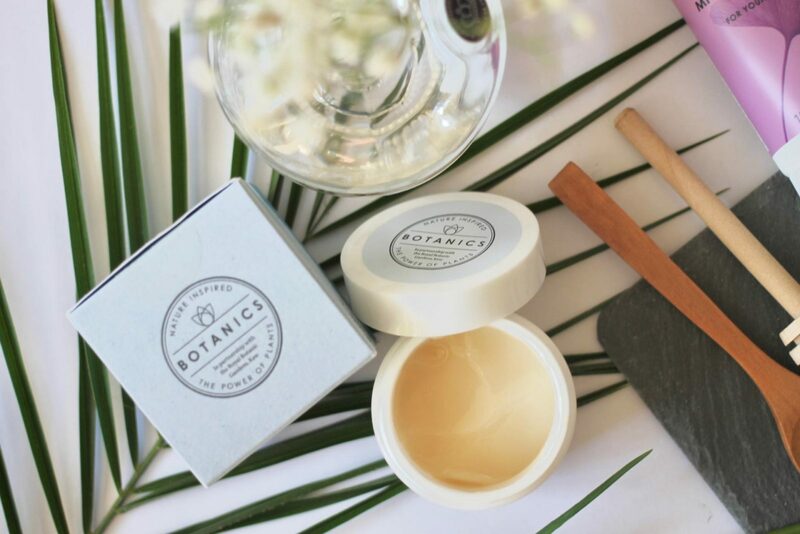 This little pot is a lightweight, non-greasy formula, infused with Clary Sage which helps to hydrate the skin. I’m pretty fussy when it comes to daily moisturiser, I don’t like that sticky feeling, I don’t like anything too thick for a morning but I like to be able to feel like I have something on. This literally ticks all the boxes. Praise the Lord. I found you. I would kinda describe this as almost a gel consistency, super light weight and easy to apply to the face without feeling super weighed down in product. What makes this even better is it has spf 15 in which is just incredible for a day cream. I think I’ll be repurchasing after this little pot is through, for £8.99 you cant go wrong. The last item I was sent is from the Radiant Youth range and is the Microdermabrasion Polish [£9.99]. Which is a gentle exfoliation which helps to remove dead skin cells, boosting your skins radiance and luminosity. The seeds from the Ginkgo plant help to wind back the visible signs of ageing, we all need to get these Ginkgo plant seeds and rub them all over us!  I really love this, I think it is quite possibly my favorite product out of all three I have tested. I can get pretty oily skin and this has really helped to remove the dead skin cells without overly exfoliating my skin as I have found in the past rough exfoliates can cause my skin to try and produce so much oil than is needed. This gently exfoliates with small beads and helps to remove the build up of dead skin without harming my skin, I also love the feel this gives to my skin after I have used it. 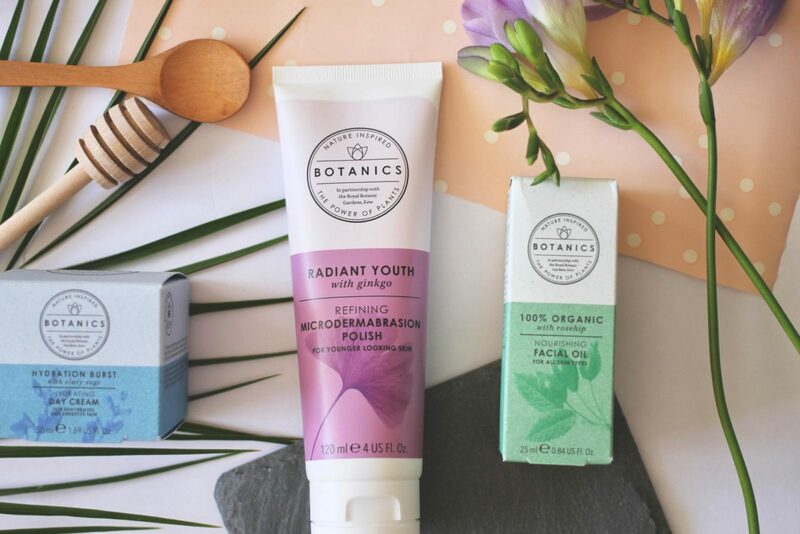 I would 100% recommend giving some of the Botanics skincare range a try, I am hoping to test out one of their cleansers sometime soon. Items marked with a * were gifted items, however all opinions are my own.